Two dozen horses in poor condition were rescued from a local auction, and almost half had to be put down. HOHENWALD, Tenn. (WTVF) — Two dozen horses in poor condition were rescued from a local auction, and almost half had to be put down. Officials with Horse Plus Humane Society in Hohenwald said some of the horses were in critical condition. "It was a really hard, hard day for our team yesterday," said Tawnee Preisner, President of Horse Plus Humane Society. One pony was bought at a local auction for $10. She was too sick and crippled to be saved. Preisner said, "She was close to 20-years-old, and she had been suffering that way all over her life, which is just heart wrenching." The Horse Plus Humane Society is still nursing 14 horses back to health after buying 24 of them at the auction. Several horses appear to have been cared for at one time. Preisner's life mission is to keep these horses from a worse fate. "In the United States last year, there were over 70,000 horses shipped to slaughter in the United States. A large number of horses come through Tennessee on the way to Canada or Mexico. 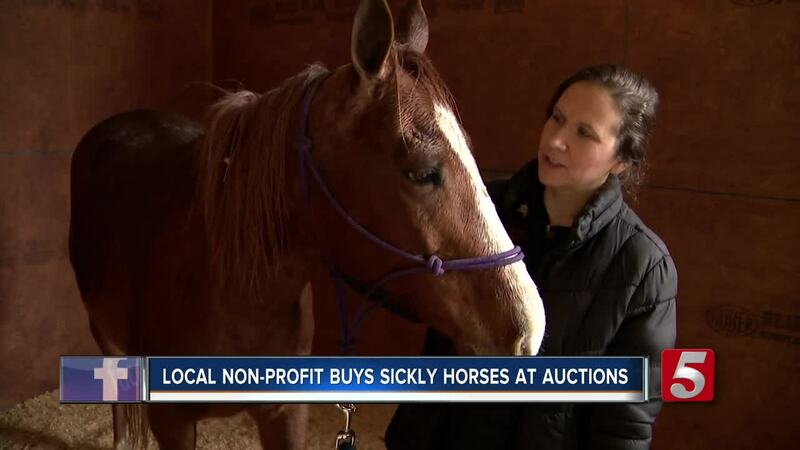 In Middle Tennessee, there’s an auction that sells about a hundred horses every week, and most of those horses at least 80 percent go to slaughter, said Tawnee Preisner, President of Horse Plus Humane Society. "It’s a huge problem, a lot of people don’t even realize. We’ve gotten horses that were at the celebration and ended up in the slaughter pipeline, champion horses, pet horses, kid’s ponies... so they’re shipped out of the United States for human consumption. 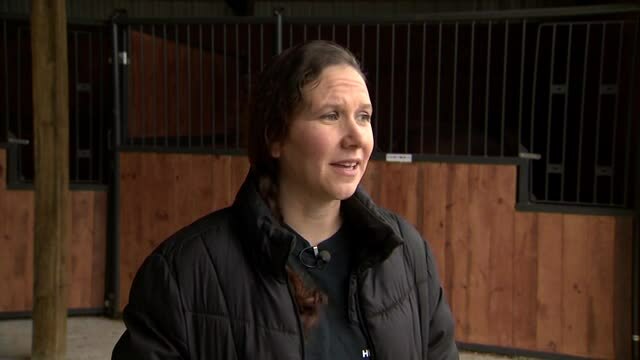 Horses are amazing animals, we don’t want to see them get shipped to slaughter when they could go on and find homes." Horse meat manufacturing is a multi-million dollar industry. Until there's change, horse advocates will keep fighting for laws to protect these beautiful creatures. "There's a bill called the safe act and that bill is trying to get pushed forward to prevent horses from being exported alive out of the United States for slaughter," said Preisner. The group is currently raising money to nurse the others back to health and eventually get them adopted. You can read more about the Safeguard American Food Exports Act here. If you would like to donate to help the horses right now you can do so online.